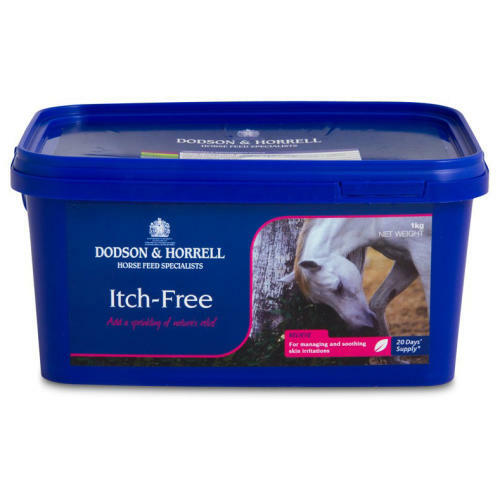 Dodson & Horrell Itch-Free Horse Supplement is a carefully blended herb containing chamomile, burdock root, garlic granules and nettle. These individual herbs have been chosen for their soothing, healing and repelling properties. Seasonal changes can affect your horse's skin and coat conditions such as sweet-itch can cause great discomfort and distress. By adding this to your horse's feed you can help to keep him feeling comfortable and healthy on the inside which will show on the outside.